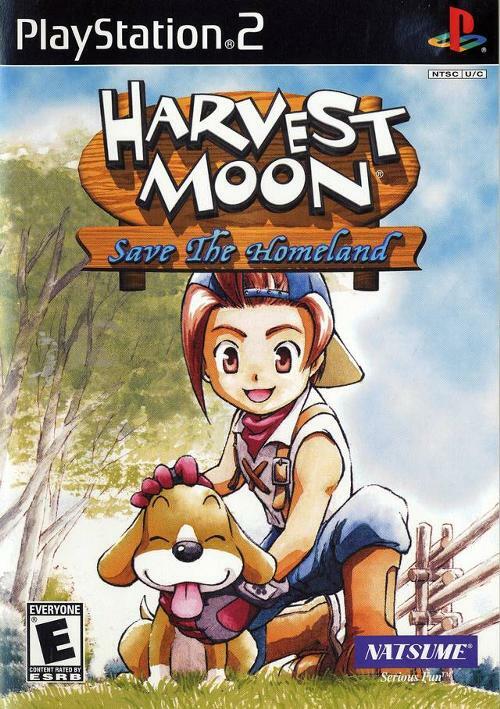 So this is our first Fall Harvest mini event, and this year I chose Harvest Moon Save the Homeland as the game to be reviewed as well it’s my favorite Harvest Moon game that I have played, and I’ve played many of them. 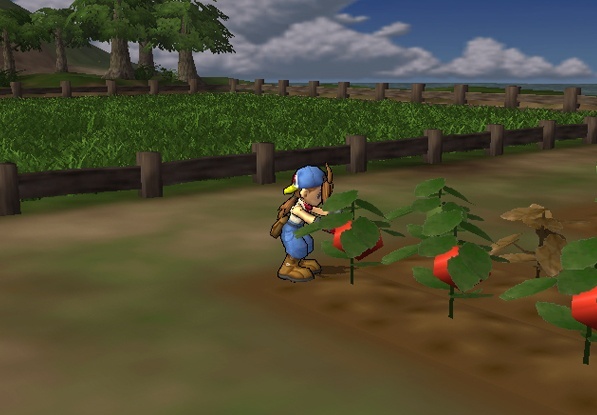 Harvest Moon as a Game series has been on numerous consoles and handhelds and has existed since summer of 1996 in Japan. It continues on as a game series even today. 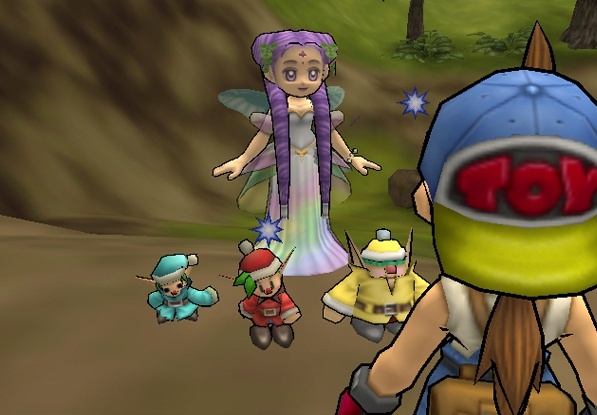 Harvest sprites and the Harvest Goddess implores you to save the village. After each year if it’s saved by one of the ways possible then the game save will advance to a new save as year 2 allowing you to complete the other storylines. Now this game is easily to learn you move around via the left analog stick, the right one moves the camera. You use a selected item via the square button and the action or equip button is x. To cancel your action or go back in the menu you simply hi the circle button. Using the l1 button you can call your dog with a whistle, pressing he l2 calls your horse via a whistle. Using the r1 you can put the item in your hand away or scroll through the items in your sack. The r2 button is used to scroll through your tools. If you’re lost you can find your way by pressing the select button and you will view a town map. And like many games even today the start button pops up the menu/status screen or when holding an item to view it(in menu). 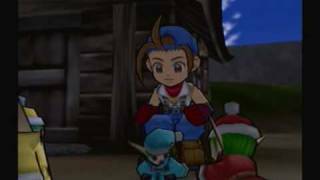 Unlike other Harvest Moon games the welfare of animals are taken very seriously in this game and to a point can guarantee a game over if you let too many get sick or die. Animals in this game of which there are four types (Cows, Chickens, Dogs, Horses) available have a more balanced welfare management. By taking care of them via daily things they need: food, attention i.e talking/holding/brushing/milking and letting them out in the sun they will grow a relationship/ gain affection for you. On the other hand by not doing your daily activities with or for them as well as leaving them out in the rain will cause in loss of affection, sickness and even death. Should the worst occur and they pass there is a dramatic cutscene and the game forces you to lose the day as no work can be done so you can reflect ton the animals passing. Sometimes it’s bad luck but more often than not it’s preventable. Passed animals receive a tombstone beyond the barn allowing you to come back again and again. It’s with this games more serious attitude to the treatment of animals as well as its take on life, the seriousness of life and the consequences of death that seemed to have some profound mark upon me. I remembered how in previous games when death occurred id be sadden sure but it really didn’t affect the game play or story least not from what I recall but with this game you take a sideline out of respect and like I said before reflection. 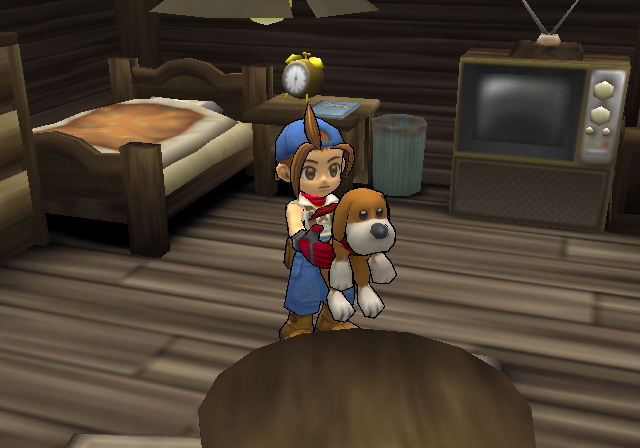 Continuing on with animals this game unlike other Harvest Moon titles didn’t start you with a dog, you actually have to befriend the dog by putting food in the dog bowl outside your house for strays. In this one there are two kinds of dogs the more traditional brown dog with floppy ears and a red bandana or the “husky” dog with a blue bandana. By befriending the dog you will be able to choose to keep (it), but only one of the two. Horses like dog’s aren’t purchasable, you can only get a horse by befriending Bob, he will then upon being befriended bring a horse to your farm and ask you to take care of it and get it ready for an upcoming race. Once the horse is trained it is the best mode of transportation in this Harvest game. 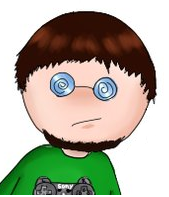 Cows and Chickens are the two purchasable animals; a chicken however is brought to you by Bob as your first animal. 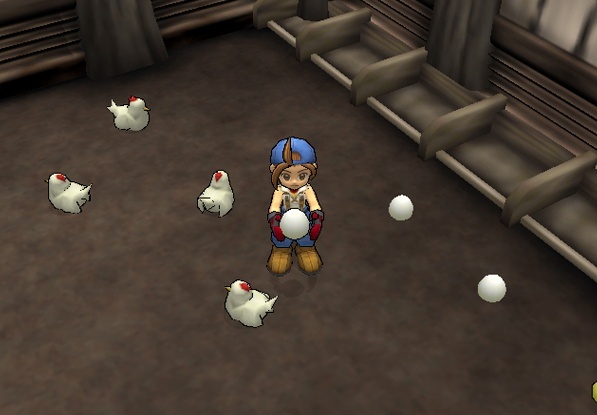 Much like other Harvest Moon games and even Minecraft, cows create milk and chickens produce eggs. Like animals in this game there are only four crops that are able to be planted. Potato crops which happen to be the cheapest, fastest and least profitable of the four crops also seem to be the hardiest. And can be planted in spring, summer, and fall. Tomato crops are more expensive than potatoes but are middle of the road and certainly not the most expensive. They need more water but they also are able to be harvested multiple times as are renewable as the plant itself remains once grown. Tomatoes are not as hardy as potatoes but they are best planted in spring and summer, with more care of summer tomatoes via water daily but they can be planted in fall. Corn crops act much like tomatoes, but are summer/fall crops. They are more expensive than tomatoes but still, they are not the most expensive. As with tomatoes corn is renewable and are actually worth more per corn cob than tomato however they take even longer to grow. The most expensive crop that also produces the most profit happens to be the Breadfruit but they are delicate, most crops can go a day without water on a normal day, but not breadfruit. 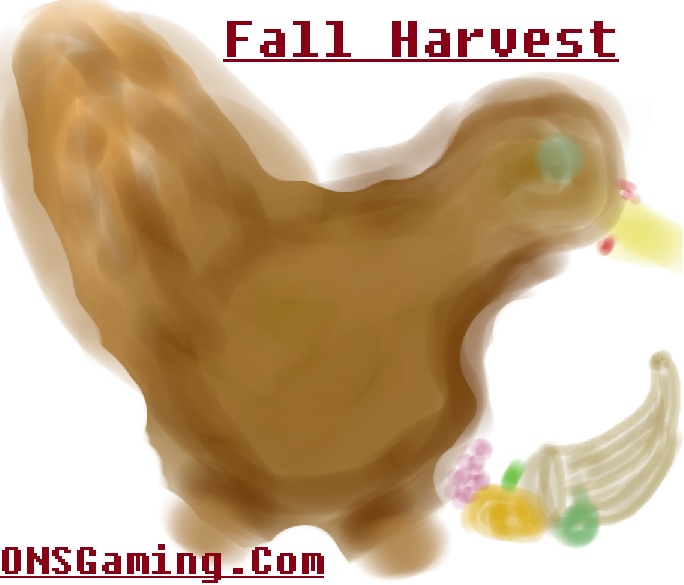 I always wondered if the harvest sprites were edible…. If I was nitpicking then I would bring up the ongoing issue of most of these games; the time of a day. Time in this game flies whether you’re having fun or otherwise. And with this one’s only one year duration the fact that the day comes and goes in a matter of about 10-12 minutes when standing outside is pretty depressing. In the other games its less of an issue as they all go by fast but they tend to have say like 3 years to beat the story. Only other nitpick I have is that to befriend characters in this game and open storylines and beat the game via storylines is the fact you must give gifts to the npcs… They don’t give you gifts really aside from the tutorial animals of Chicken and Cow. I still enjoy this kind of game, the ‘life simulator’ be it a newer iteration of Harvest Moon, be it Minecraft (of yes I’m addicted to it, I’m not going to lie I mean we all have at one point stepped on a Lego that hurts, so Minecraft allows me to not step on them… but still be creative), or let’s not forget the Sims game. These games allow a glimpse into other lives, worlds or what have you that while are similar to our own they are different. Now normally this would fall under a Real Serious Review, and I’d give it a score but I’m not going to because I’m just thankful that I could play games of this genre, they are all addictive far more so than reality. As it’s the season and event of thanks and giving I give you this post and thank you all for supporting us and I hope you have a great Thanksgiving.